Spring and autumn are peak travel seasons in Japan, thanks to the stunning cherry blossoms and vibrant red leaves that cover the country. But have you ever considered traveling to Japan during winter? Read on for tips about how Japan's coldest season is also one of the best times to visit the Land of the Rising Sun! Low-Cost Carriers (LCCs) airlines are an increasingly popular form of domestic travel, since they can be cheaper than a trip on Japan's bullet trains. During quieter winter months like January and February—especially right after the hectic New Year Period—prices for tickets from these airlines drop significantly, especially if you are willing to travel on weekdays. 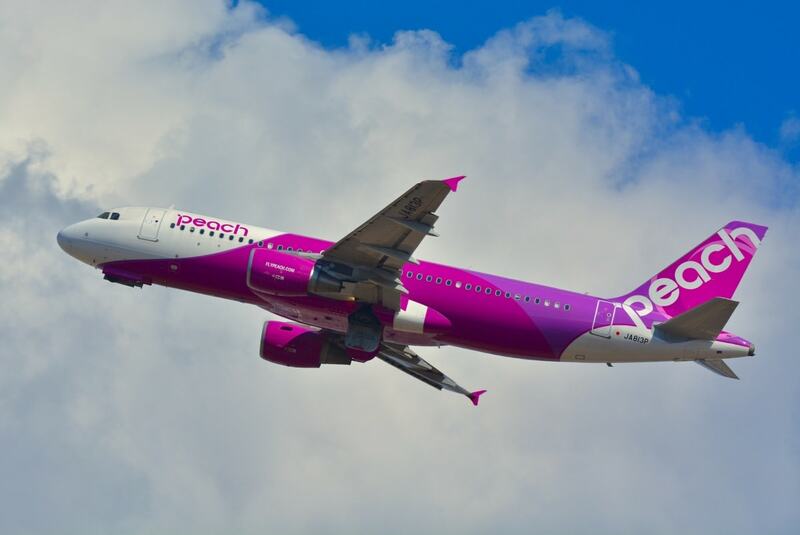 For example, a round-trip on Peach Aviation between Kansai and Okinawa can be found as low as —13,000 (about US$120), and round-trip tickets between Tokyo and Kansai can be as low as ¥8,000 (US$74). Compare that to a one-way ticket on the Tokaido-Sanyo Shinkansen Line from Tokyo Station to Shin-Osaka Station at ¥14,650 (about US$135), and the savings (especially for residents, who are ineligible for the JR Pass) are apparent. To find out more about different LCCs operating in Japan, please follow this link. To accompany lower travel costs, car rental companies have a lot of winter rental campaigns across the country. One of the largest car rental companies, Orix, also has a webpage dedicated to different campaigns for cheap car rental. For example, their winter Okinawa campaign starts from as low as ¥2,646 (US$24) per day. Rakuten Travel's dedicated car rental page is also a great comparison website for car rental companies across Japan. Rakuten also often applies their own discount campaigns on top of the car rental companies, reducing the overall rental cost even more! You may also be able to accumulate points if you have a Rakuten credit card to pay for the car, or an online Rakuten account. Though both Orix and Rakuten (and other rental companies) do have English websites, the best prices can be found on their respective Japanese websites, if you can navigate them! To drive in Japan, you will need to have a Japanese Driver's License or an International Driving Permit (IDP) to accompany your license from your home country. If you have recently passed your driving test (within the last year) in Japan, some rental companies have restrictions on whether you can drive their cars. Orix will allow you to rent provided you bring the "beginner's mark" (shoshin maaku・初心者マーク) to place on the car. It's also worth noting that most cars in Japan are automatic! Summer in Japan is great, but it can bring about some of the hottest temperatures of the year, plus some serious humidity. Typhoons are also commonplace, and the strong wind and rain can cause widespread travel disruption across the country. Spring is beautiful, but also has a very wet rainy season. Comparatively, winter months are quite calm. 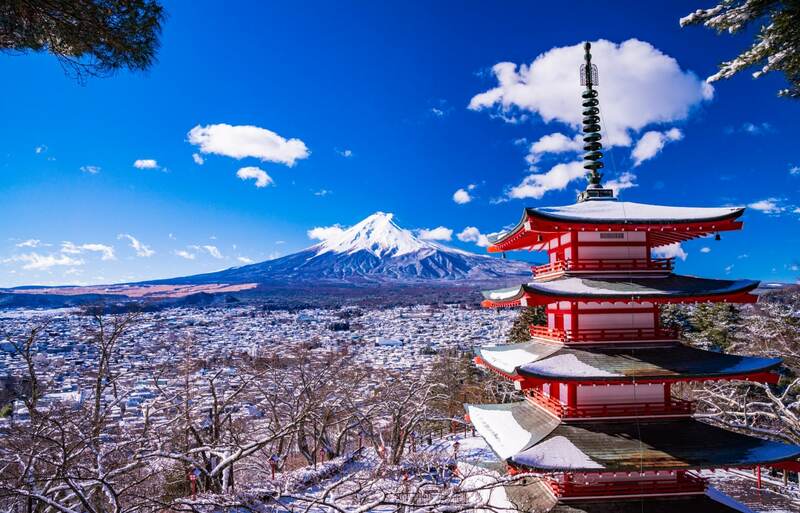 While there's the occasional delay or closure in northern Japan when it snows heavily, areas like Kanto and Kansai are usually cold, crisp and sunny, which is great weather for sightseeing. With the added benefit of cheap flights and car rentals, there's no better time to travel to Okinawa than winter! Famed for its stunning beaches and beautiful weather, the islands of Okinawa are a veritable tropical paradise in Japan. Though the winter months may not offer swimmable temperatures and perfect tans, they still do provide a fresh, spring-like weather for you to enjoy. With daily average temperatures exceeding 20 degrees Celsius (68°F), it is the perfect getaway from the chilly to freezing temperatures found in the rest of the country. You can start planning a bunch of exciting things to do in Okinawa in winter with the help of this handy article. This goes hand in hand with the next category, but winter is (obviously) the best time to enjoy some incredible powder snow in Japan! Whether it's a trip to the Japanese Alps, the mountains of Tohoku or the rugged wilderness of Hokkaido, there's no wrong way to shred some snow in the Land of the Rising Sun! If you're on the hunt for some great spots for some winter sports, check out All About's hub for all things snow! If you're looking for a truly snowy experience, a visit to an onsen town in winter is the perfect getaway. Most onsen towns are nestled in mountainous areas of Japan, which means they see a lot of snowfall, which creates an incredible atmosphere when combined with a luxurious soak in a natural hot spring. Many onsen towns also have skiing and snowboarding resorts nearby (such as the Shiga Kogen Ski area near Shibu Onsen). Other options include the stunning Ginzan Onsen pictured above. After a long day out in the snow, soaking in a hot spring with stunning views is the perfect way to wind down and warm up! Be sure to brush up on the rules and etiquettes of using an onsen before you go! Japan is famous for its wide variety of seasonal and regional dishes, and winter does not disappoint! Make sure to try out the following hearty dishes typically found in winter, since they're a great way to warm up! Nabe (鍋) is a Japanese version of hot pot, and is filled with various types of vegetables and meat. It is usually cooked in a large pot placed in the middle of a table for all to share. Various soup stocks can be bought from any supermarket during the winter which makes cooking nabe hassle free, but there are plenty of restaurants that specialize in this type of cuisine as well. It is a great way to socialize, get warm and eat a pretty healthy dinner. Oden (おでん) can be found as a great takeaway option at any convenience store, or as a side dish at many restaurants and izakaya. It is comprised of various vegetables, like daikon and konyaku, as well as fish cakes, eggs and other dishes slowly cooked in broth over many hours. It's best to enjoy piping hot! Hoto (放蕩) is a dish said to have originated in Yamanashi Prefecture. It's a simple dish comprised of udon noodles that are cooked in miso soup with various vegetables. It's generally a much healthier alternative to ramen, and it's a great way to get full quick and stay warm. Yakiimo (焼き芋) is simply roasted sweet potato, and can be found sold piping hot at various supermarkets and outdoor festivals. It's a great snack to have on the go, especially if you are outside in the cold exploring some awesome winter festivals. Many children in Japan eat okayu (おかゆ) during winter if they get sick, since it's nutritious and easy to swallow. This porridge-like dish is rice that's cooked down to a thick texture, usually accompanied with savory condiments such as umeboshi (pickled plum). A kotatsu (こたつ) is a table with a heater attached underneath and a duvet-like cover flowing out of all four sides. It's a great place to sit and watch TV or have dinner while keeping your legs and feet toasty warm. Just be careful, because once you get comfy, you won't want to leave! Head over to the nearest UniQlo or GU and buy "heat-tech" clothes. You can usually buy long-sleeved shirts and leggings with special "heat trapping technology" to keep you warm as you go about your daily business. While we may not understand the science behind them, they're definitely toasty! Hokkairo (ホッカイロ)) are hand warmers that, when exposed to the air, will heat up and keep you warm. There are plenty of varieties available, with varying temperatures and even hokkairo you can put in your shoes! Check out this article to find out more. Hot drinks are also great as a quick, warm pick-me-up in winter. Convenience stores will have corners with nice, warm coffee and tea, and vending machines will also serve heated drinks (and even cans of soup! ), so stay on the lookout when traveling down chilly streets. With these tips, you have all you need for a fun, warm winter in Japan. Happy travels!